There is usually some sentiment or story for why names are chosen. For people, perhaps you are named after a beloved relative. For places, as with the American colonies, for example, new location names were adopted from cities in England (Boston, Greenwich, Cambridge, etc) as well as from names of the royal family (Charlestown, Jamestown, Maryland, etc.). 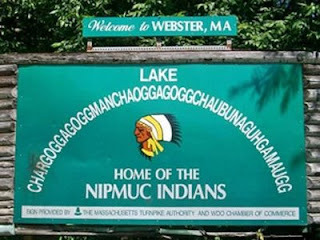 After the westward expansion of the United States, the huge emptiness of land between the east coast and the west cost resulted in the necessity to name a multitude of new settlements rather quickly. How to get inspiration? If you have a long, humorous, or fascinating place name in your country, please comment. I would love to know about it.